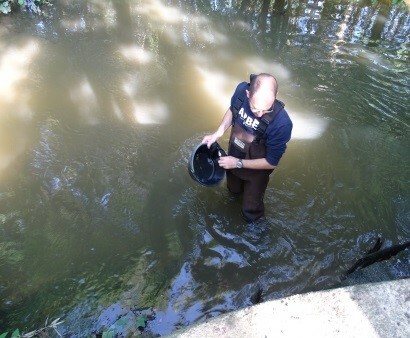 Main objective: The project propose to study the impact of anthropogenic activities (mining, traffic, urban agglomerations, land use change) on the contamination of rivers in France and Romania, focusing in particular on sediment geochemistry (suspended matter and particulates resulting from soil erosion and waste ) transported by rivers. Specific objectives: ► chemical characterization of surface water and sediments in rivers under the influence of anthropogenic activities, ► identification of the impact of different types of anthropogenic activities on river quality, ► identification of the origin of contamination, ►evaluation of the mobility of metals by selective extraction, ► Results dissemination. The distribution, quantity and quality of water resources is influenced by a wide range of anthropogenic activities. Mining and metallurgy, intensive farming, urban expansion and changes in land use and land management practices are among the most invasive anthropogenic activities that alters the water quality. Metal contamination has become a global issue due to the persistence and toxicity of metals. 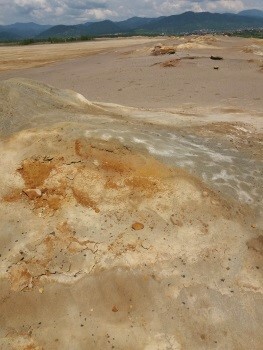 Both sediments and soils have the ability to accumulate metals, thus becoming reservoirs for pollutants. The concomitant presence of several sources of contamination in river basins makes it difficult to determine the origin of the contaminants. To identify the origin of the contaminants and the degree of anthropogenic influence, isotopic tracers specific to sources and contamination pathways are used. 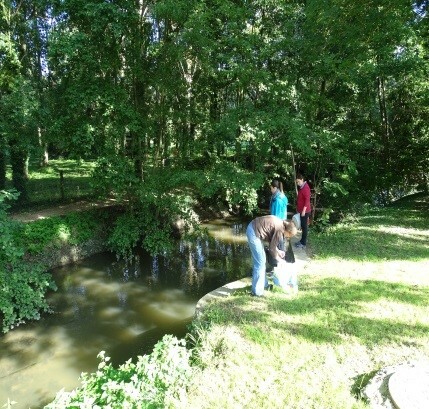 The project aims to study the impact of anthropogenic activities (mining, traffic, urban agglomerations, land use change) on the contamination of some rivers in France and Romania, according to the catchment size, land use and human activities (mining, agriculture, urbanization) in order to evaluate the ecosystem resiliance to contaminant pressure. The intensive urbanization and industrialization led to global spread of pollution, particularly metal(loid)s. Surface waters are collectors of pollutants while sediments are the major sink of metals originating from anthropogenic activities. Due to metals toxicity and persistence, water contamination is an important issue, particularly in industrial or highly urbanized areas where emissions, waste entreposal or wastewater with high metal content are the major sources and vectors of pollution. The major objective of the project was the assessment of the impact of anthropogenic pressures (mining, traffic, urbanization, land use change) on river water contamination in France and Romania. The specific objectives were: (i) Chemical characterization of surface waters and sediments of rivers impacted by various anthropogenic activities (ii) assessment of the impact of various antropic pressures on the river water quality in France and Romania (iii) identification of the contaminats origin (iv) fractionation of metals in the studied river catchments, (v) assessment of metals mobility and (vi) Knowledge exchange between the two partners and strengthen cooperation between the two teams. 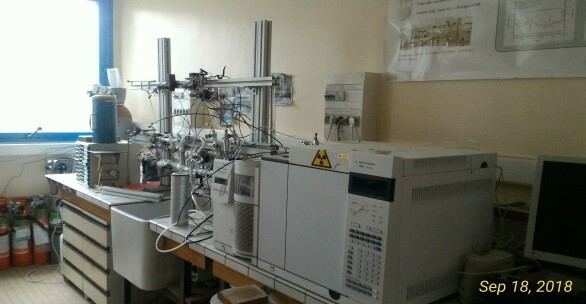 In the frame of the project the analytical methods used for pollutants determination in waters and sediments were harmonized, the performance parameters have been determined and the results obtained in the laboratories of the two partners were compared to assure the methods accuracy, particularly for cation and anion quantification. 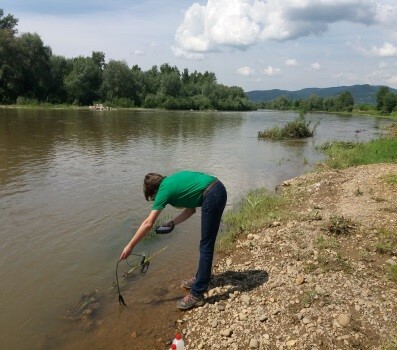 The validated methods were applied to waters, sediments and tailings samples collected from Somes River Basin (Romania) and Orge, Remarde and Yvette rivers (France). Furthermore, tracers that indicate the pollution sources, i.e. urban, industrial, were used (Pb isotopes, element ratio) and the mobility of metals in the most important metal pollution sources (tailings) was studied. The results showed an increase of the metals and nitrates concentration and a drecrease of dissolved oxygen from upstream to downstream This tendency indicates the important impact of human activities, particularly agriculture, industry and mining, on the quality of waters. 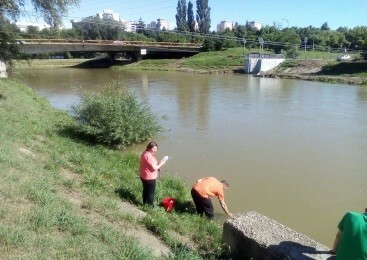 In case of Somes Mic River the most important pollution sources are the two urban settlements (Cluj-Napoca and Gherla), while in case of Somes Mare the influence of both industrial and agricultural activities were identifyed. Moreover, downstream Baia-Mare mining area, the waters present high metal contents as a consequence of metal leaching from mining tailings stored in the river catchment. Novelty: The results of bilateral cooperation provide relevant scientific knowledge regarding the impact of antropogenic activities on surface waters and sediments contamination with metals. Elements of economic development: The assessment of the antropogenic impact (mining, traffic, urbanization, land use change) on the river pollution will act as the starting point of a databases containing the physico-chemical parameters of the waters that will enable the identification of spatiotemporal pollution dispersion under various pressures. The identified trends will allow the forcast of water quality for medium and long-term and the developement of strategies for water pollution mitigation in relation to land uses. Expected impacts on the scientific, technical, economic, social and didactic environments: The project results allowed the specialization of team members in advanced analytical techniques for the determination of various pollutants, underpin the development of new collaborations within new research projects and contribute to the increase of the research visibility of the two countries. The collaboration of the two teams favored the gain of knowledge on the mechanisms and processes that influence the mobilization and transport of metals in the environment, particularly in areas affected by various anthropogenic pressures. The project results will be the starting point for the development and improvement of land use policies in order to assure the preservation or enhancement of water quality. The partnership initiated in this project will facilitate faster communication between the two teams and a more detailed knowledge of the results obtained by each partner in this field. Also, it will enable the development of human resources through training of young researchers in the field of water chemistry, metal pollution and anthropogenic pressures, will promote applied research and will increase the visibility of research in the two countries. A1.2 Visit of the French team to the Romanian partner. Sampling and analysis of waters and sediments from Somes river sections outside and under anthropogenic impact. 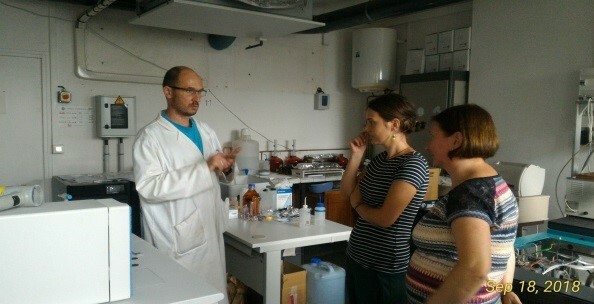 A1.3 Visit of the Romanian team to the French partner. Sampling and analysis of waters and sediments from French river sections outside and under anthropogenic impact. 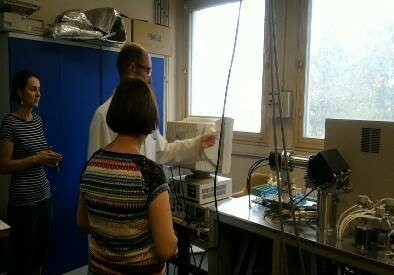 A2.1 Visit of the Romanian team to the French partner. Solid and aqueous metal speciation. A2.2 Visit of the French team to the Romanian partner. Assessment of metal mobility and bioaccessibility. A2.3 Data interpretation and analysis. Results dissemination. • Papers and communications: 1 invited lectures, 6 communications at international conferences, 5 papers: 3 in journal with impact factor, 2 in journals indexed in international databases. Abstract: The activity and diversity of soil microorganisms that are important for the ecological functions of soil might be decreased by the combined drivers of anthropogenic activities and climate change. According with literature there are gaps in knowledge concerning issues of climate change, anthropogenic and geoclimatic gradients impact on soil microbiodiversity structure and functioning. Filling these gaps and understanding the ways how these changes alter soil functioning will allow to develop strategies and coping techniques for adaptation and/or mitigation of challenges raised by drivers of global changes. Therefore, it is a need for an improved appreciation of the spatial patterns of, and factors that control soil microbial biomass and communities. 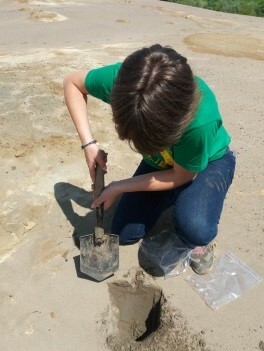 Thus, MICROPROFILE major goal is to collect data on how anthropogenic and geoclimatic gradients impact soil microbiodiversity in order to could identify connection and relations on how these could have an impact on soil functioning. To achieve these goals MICROPROFILE consortia will use novel approaches (optimized PLFA through inoculum isolation BAME combined with ester linked fatty acid) and software tools (identification of current DNA species using BP artificial neural networks and fuzzy mathematical theories) to characterize soil microbiodiversity community structure and pattern under current and future challenges of global changes. 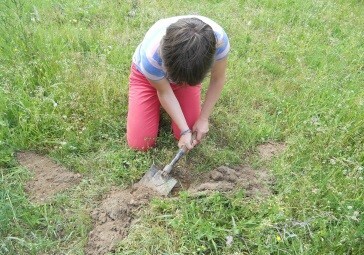 MICROPROFILE goal and specific objectives: The overall aim of MICROPROFILE is to collect data on how anthropogenic and geoclimatic gradients impact soil microbiodiversity in order to could draw connection and relations on how these could have an impact on soil functioning. Evaluate how exiting pollution, at local level, have impact on soil microbial biomass and communities’ structure and related soil functions.